Scroll down for additional configurations or browse all Quick Ship Telemaco options. 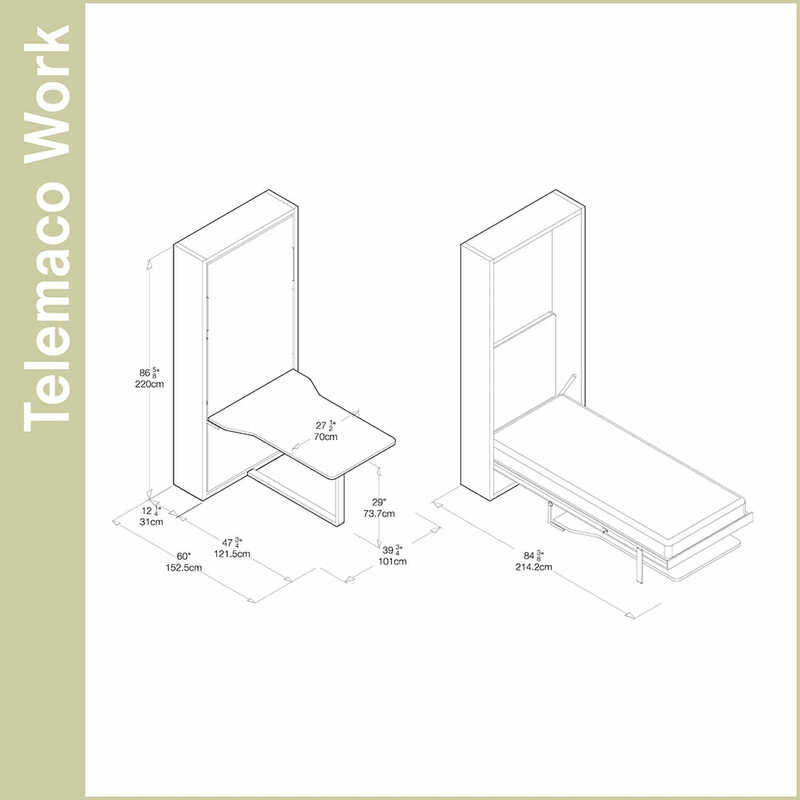 The Telemaco Work is a vertically-opening wall bed system featuring a perpendicular desk that is expertly designed to remain parallel to the floor as the bed is opened. Available in single or intermediate sizes, the Telemaco Work bed system creates multifunctional living spaces with ease. The Telemaco wall bed system is also available with a horizontally situated writing desk that runs the length of the unit, and can be installed in virtually any space to provide an effortless transformation from bedroom to office, den or guest room. Available in a wide variety of finishes.